Portugal was known to the Romans as Lusitania, after the Lusitani tribe who previously inhabited it. After the collapse of the Roman Empire, Portugal was dominated by the Visogoths and Moors until the 12th century, when it emerged as an independent kingdom. 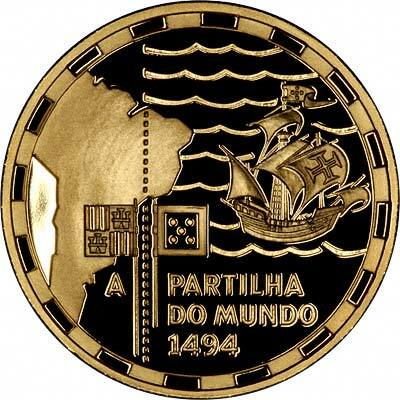 From the 14th century, inspired by Prince Henry the Navigator, Portuguese explorers opened up most of the new world, having control over half of it by the late 15th century. The English, French, Spanish and Dutch later seized most of it, leaving Portugal few of its imperial possessions, its largest being Brazil, which remained part of the Portuguese Empire until its independence in 1822. In 1910, the monarchy was overthrown and replaced by a republic, and again in 1974, the government was taken over by a military junta. In 1986, Portugal joined the EEC as its 11th member. 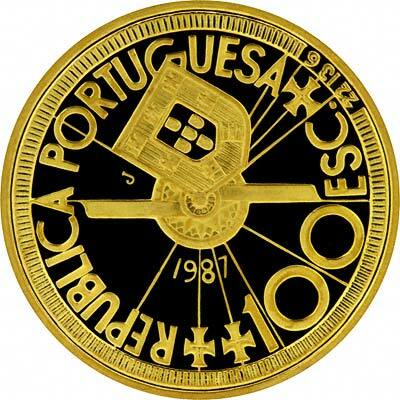 Portugal has produced gold coins denominated in reis, cruzados, escudos, dobra, and peca. We often have Portuguese gold coins for sale. The table below show specifications for some of the more common Portuguese gold coins, followed by coins for sale from our stock. 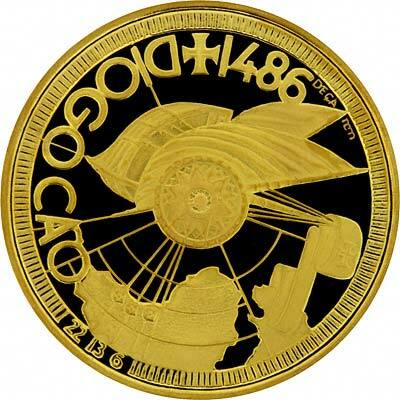 For Portuguese coins in silver or base metal, or Portuguese coin sets other than gold, please look at the Portuguese Coins page of our original website.